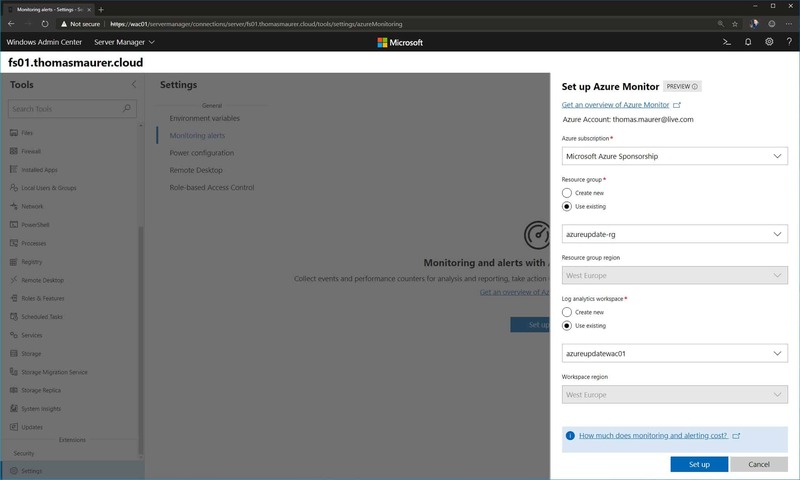 Today, Thomas Roettinger Senior Program Manager in the Azure Stack Team announced the Technical Preview of the Microsoft Azure Stack Management Pack for System Center Operations Manager. 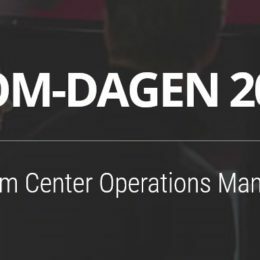 System Center is a datacenter management tool used by many enterprises out there, Operations Manager allows you to monitor your complete datacenter environment based on Management Packs which includes the logic and intelligence to monitor different solutions and products. 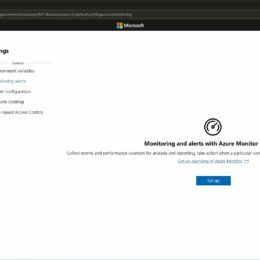 With the release of the Azure Stack Management Pack, Microsoft enables you to monitor Azure Stack using System Center Operations Manager 2012 R2 or System Center Operations Manager 2016. The Azure Stack Management Pack allows you to send notifications when alerts in Azure Stack pop up. 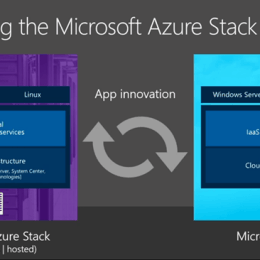 It also allows you to schedule maintenance windows during an Azure Stack update. 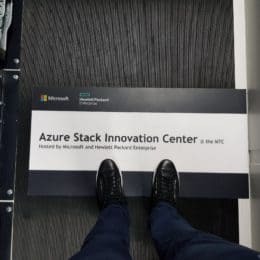 The MP leverages Azure Stack Health Resource Rest API which is the official API for all Azure Stack help related information and is used by the Azure Stack Portal itself, the PowerShell module and also the Nagios monitoring plugin for Azure Stack. If you are not using SCOM or Nagios you can of course also work against the Azure Stack Health Resource Rest API to get health data out of your Azure Stack appliance. 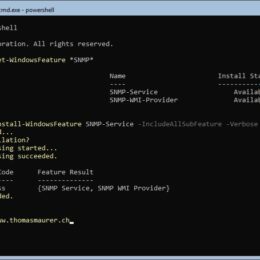 Feel free to test the new SCOM Management Pack for Azure Stack (download) and provide feedback to Microsoft. 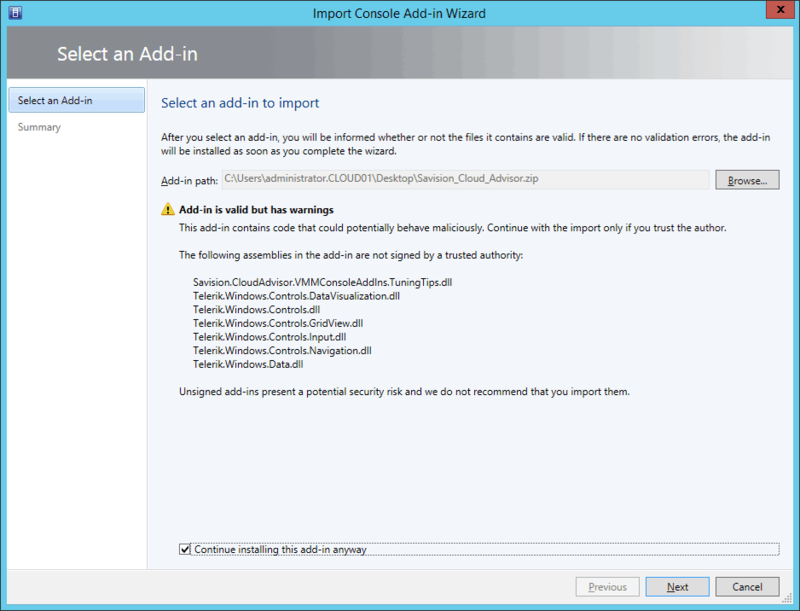 As you may know I do a lot of work around Hyper-V, System Center and Windows Azure Pack. 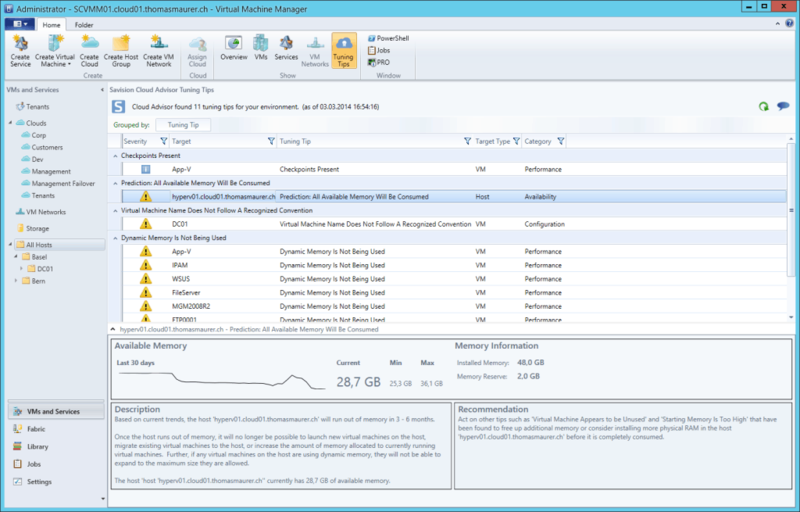 One of the most critical parts of the Microsoft Cloud is System Center Virtual Machine Manager. VMM is the component where mostly everything comes together in some way. From the Fabric resource such as Storage, Compute and Networking up to the Virtual Machines and Services running on top of the Fabric layer. Virtual Machine Manager basically allows you to pool resources and offer them to tenants which can than deploy services and virtual machines to the pools. 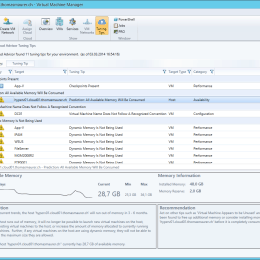 This means VMM manages not only your Virtual Machines, Virtual Machine Manager also manages your network environment, your storage and a lot more. So wouldn’t it be great to use the data Virtual Machine Manager collects to review your environment and get some tips you can optimize it? 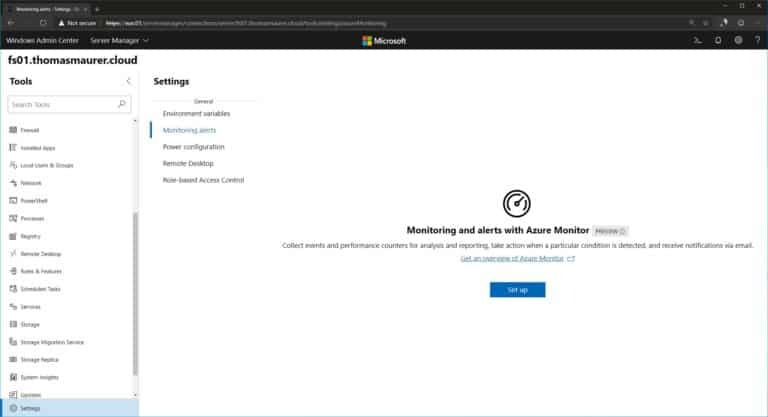 This is exactly what Savision did with their Virtual Machine Manager Add-in called Cloud Advisor which includes tuning and optimization recommendations. Most of you will think okay, this sounds great but how much will this thing cost. Well that’s the great part, the Savision Cloud Advisor for System Center Virtual Machine Manager is absolutely free. So there is absolutely no reason why you shouldn’t deploy the Savision Cloud Advisor in your Virtual Machine Manager environment. Simply go the Savision homepage, download the Cloud Advisor and import it to VMM. 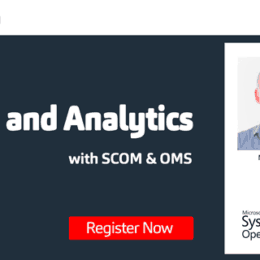 After that you will have to connect to the VMM database and to let the Savision Cloud Advisor his job, showing you tips and recommendations for your environment. By the way there are other cool VMM Add-in from Cisco for their UCS Bladecenter and 5Nine for the Virtual Firewall Appliance.